The ability to participate and comprehend Pai Gow poker isn’t limited only to knowing how the game is played and what the rules are. It is also important to know the vocabulary that is used to interact with the other players at the table. This interaction is consisted of mainly poker terms but also some unique terms that are used in Pai Gow poker. This can be a very interactive and easy going game, especially because it is a low risk game with favorable house edge. When your turn as the banker comes, you will need to be prepared to communicate by using these Pai Gow poker terms that we have explained below. This glossary describes and covers the entire jargon used in Pai Gow poker that you have to use while playing the game. You can read about the playing hands, bet types, general poker terms, etc. Do try to read and learn them and feel free to use the glossary for future reference. Ante: just like in other type of poker games, you have to wager a certain amount before the cards have been dealt. This is called ‘ante’ by doing that you confirm that you are entering the game. The size of an ante bet varies from casino to casino. Back Hand: the five card hand in Pai Gow poker is called ‘back’ hand. Other names used for this hand are ‘high’ and ‘small’. Both five and two card hands are played just like playing standard poker, only that the maximum value of the two card hand can be a pair. Banker: this is like a dealer in other games whose job is to deal the cards. In Pai Gow poker this position is called ‘banker’ and can be assumed by any of the players. The word ‘banker’ is used because unlike the dealer, the banker is playing the game too with his own hands. Bankroll: when playing a casino game, the money that you have brought with you at the table to wager in the game is called ‘bankroll’. However, you are first required to exchange them for chips. 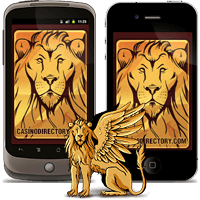 At online casinos you just need to deposit using a payment method. Bug: this term is used to describe the joker card. This card is either used as a wild in case you are missing a card to make up a flush hand, or acts like an ace. Only one joker card is used in Pai Gow poker. Copy Hand: a copy hand is a hand that is identical to the opponent’s hand. These hands are usually won by the banker. Double Hand Poker: this is another name for Pai Gow poker. Pai Gow is actually an ancient Chinese domino game whose Americanized version, the one we are speaking of in this glossary, was sometimes called ‘double hand poker’ in America. Dragon Hand: some casinos employ a rule by which day deal a hand to a vacant seat on the table. The cards are played according to the house way and players can bet on it similar to playing two hands at the same time only that the hand is played according to preset rules. Fish: there is a slang word both for experienced and inexperienced players that are used while playing different table games. A ‘fish’ refers to the inexperienced player at the table who is actually the loser to, and is taken advantage for his lack of skills. Five Aces: the highest paying hand in Pai Gow poker. With this hand you can easily beat a royal flush and come out as a massive winner with a massive payout. To complete this hand you will obviously need five aces, which you can do with only four and a joker. Flush: to complete this kind of a hand you need five cards that are of the same suit. Here the ranking of the cards is not important, only the suit, for example, five clubs or five hearts. Fortune Pai Gow: this is probably the most popular variation of Pai Gow poker. Here too you can make a side bet called the Fortune Bonus which instantly puts you into play for the Envy Bonus if the side bet has been made with a wager of five dollars or more. Foul: a foul is called when a player combines and splits his front and back hands in a way that digresses from the Pai Gow poker rules and they are discarded. In online Pai Gow you can click the ‘House Way’ button for your cards to be auto sorted. Four of a Kind: as the name suggest, similar to Three of a Kind, you will need four cards that are of the same denomination, for example, four Kings, four 9s etc. The hand that wins is a hand with cards that are of the highest value. Front Hand: one of the two hands that are usually played in Pai Gow. You are dealt seven cards and you need to divide them into 5 and 2 card hands. The 2 card hand is sometimes called minor hand, but mostly is known as front hand. You have to play a pair with it. Full House: this Pai Gow hand can be best described as completing two hands, which are then considered as a single hand called Full House. To complete this hand all you will need is to combine a pair and a Three of a Kind. High Card: the lowest ranking hand in Pai Gow poker applied when you cannot even combine a decent pair. In this case you arrange the highest cards according to their value and hope that the banker has a High Card hand but with weaker cards. House Way: the ‘house way’ is a playing pattern that was previously determined. It is followed by the banker. If a player uses the house way option in online Pai Gow poker games, he can increase his chances for a win, especially if he is inexperienced. Minor Hand: this is just another name for the two card front hand. Other names by which this name goes are top hand, low hand and small hand. Mostly it is referred to as ‘front’ hand. One Pair: simply put, this is a standard ‘pair’ poker hand, where you need two cards of the same denomination, like two 3s or two 4s etc. Pai Gow Mania: this is the first variation that was devised and here you can place 2 side bets, instead of only one as in most games. Progressive Pai Gow: this is a standard Pai Gow poker game to which the option to win a progressive jackpot was added by placing a side bet just like in other progressive jackpot games. Rakeback: every time you have a winning hand and are paid out for your win, the casino takes a certain percentage of your win. This is an important rule for casinos because it helps them stay in profit. The commission usually is five percent. Royal Flush: this is the highest ranking hand in poker, but in Pai Gow poker this hand can be beaten with five aces. To complete a royal flush hand you need five particular cards. Those are king, jack, ten and a queen. The thing is that they all have to be of identical suit. Straight: in a straight hand you need five cards that can be arranged in a sequence, for example, 7-8-9-10-Jack. The suit of the cards is not important in a straight hand. The opposite of this is a flush hand (see Flush). Straight Flush: one of the most difficult hands next to royal flush and five aces hands. Here you need all cards to be of identical suit. And not only that, you have to arrange them in order according to their value. Three of a Kind: a standard poker hand used in Pai Gow too. To complete this kind of a hand you need three cards of the same denomination, for example, three 5s, three Kings etc. The other cards in the hand are used only if the opponent has the same Three of a Kind. Tie: to win the player needs to hands that are better than the banker’s. However, if only one hand is better, and the one loses, then it is a tie. When a tie occurs, neither of the opponents win and the bets are returned. Two Pairs: a Pai Gow poker hand applied to the back hand where you make up a combination of two sets of pairs. See also Pair. Wild: in Pai Gow poker one joker is left in the deck to act as a wild. If you are missing a card to complete a flush hand and the joker is in your hand, you can use it to complete the hand. Also, see Bug. Winning Hands: in Pai Gow poker the player can win only if both of his hands are better than the banker’s hands.